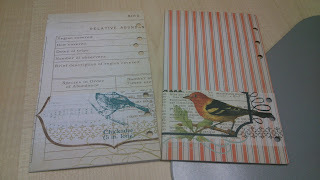 Fantail Designs: dividers from scrapbook paper - with birds! 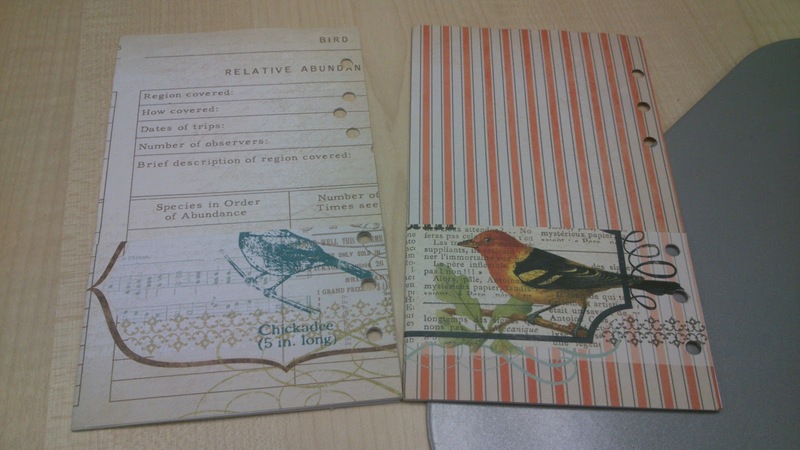 dividers from scrapbook paper - with birds! 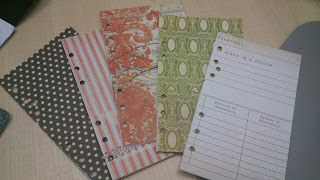 I'd been wanting some new dividers for a while, my old ones were pretty tatty at the edges, and the commercial ones are too dull for my taste. I have a massive stack of very cool scrapbooking paper, which aren't strong enough on their own, but I had a bit of a play and with some folding have ended up with these dividers, which are strong and cool looking! 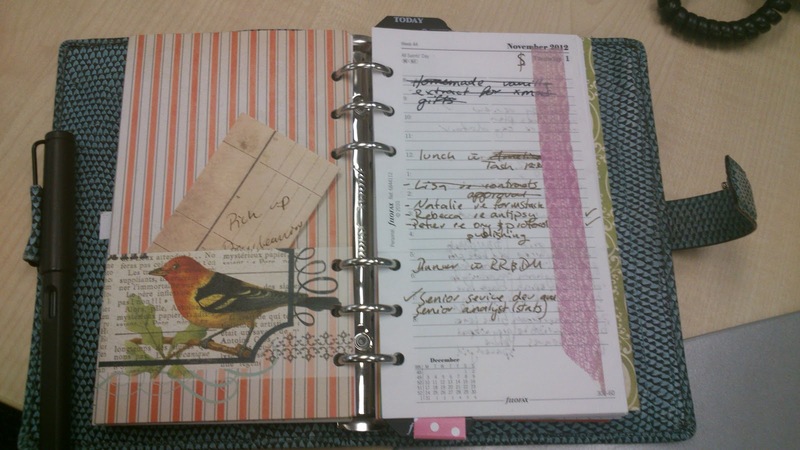 They are about half a centimetre wider than the diary pages, which was intentional. 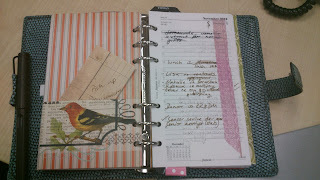 It gives just a small edge so you can easily flick to a page, but not so wide that they get dog-eared. My filofax goes in my bag and is just lumped in there indelicately so this is a real issue!. 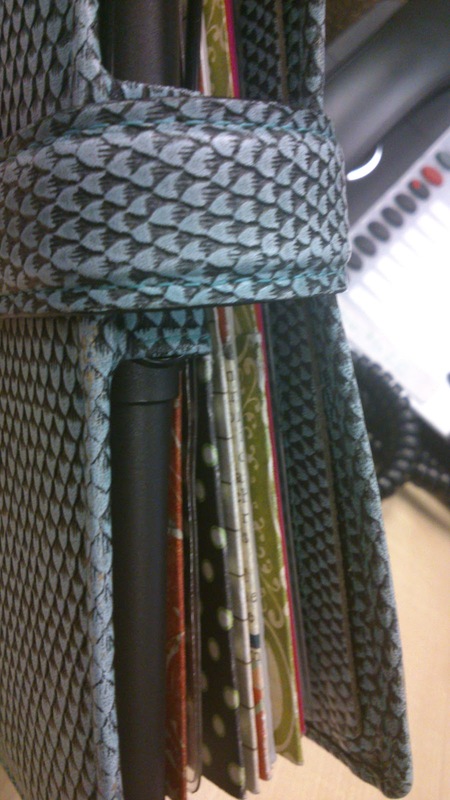 The way the pages are folded you end up with a cute little pocket which is handy for all manner of bits and pieces.